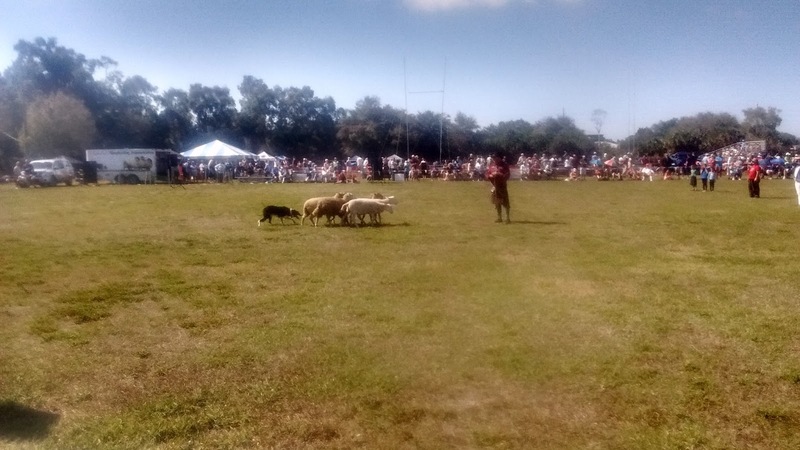 My favourite part of the Sarasota Highland Games - incongruous under the scorching sun, which got hotter by the minute (even the phone was perspiring) - was the Sheepherding (sic) exhibition. The sheep trotted around amiably while various different dogs showed off their skills. One Man and His Dog it was not. Each border collie came running in accompanied by raucous music - its own personal tune. 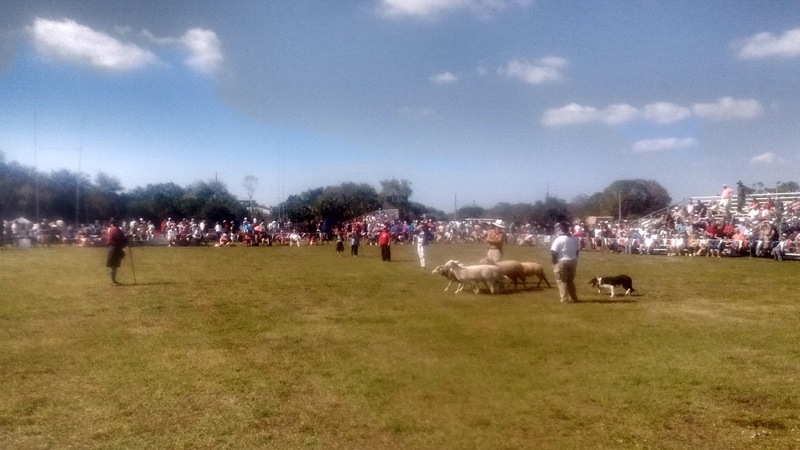 It didn't quite suit the occasion but this is Florida after all and not some dewy Yorkshire moor. 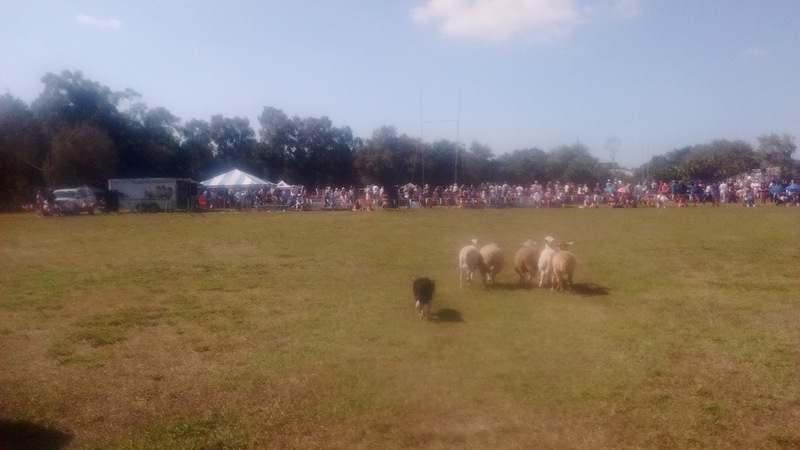 At one point they asked for volunteers from the stands to stand in line while the collies did a slalom, herding the sheep in and out. Very impressive. 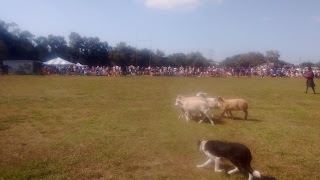 Last time we were at the Games, a few years ago, a couple of the sheep made a run for it. There was panic as everyone thought they would bolt straight onto busy Fruitville Road. 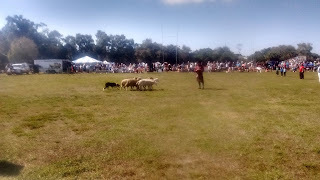 The dogs really earned their grub that day. To be continued. (Get ready for the cabers).